We held our first training of trainers in Bengaluru as a part of our new partnership with Dasra and Bank of America. The focus of the day-long training was to introduce our toolkits to our trainers, to hold sessions on the importance of women’s employability and to cover the basics of facilitation. 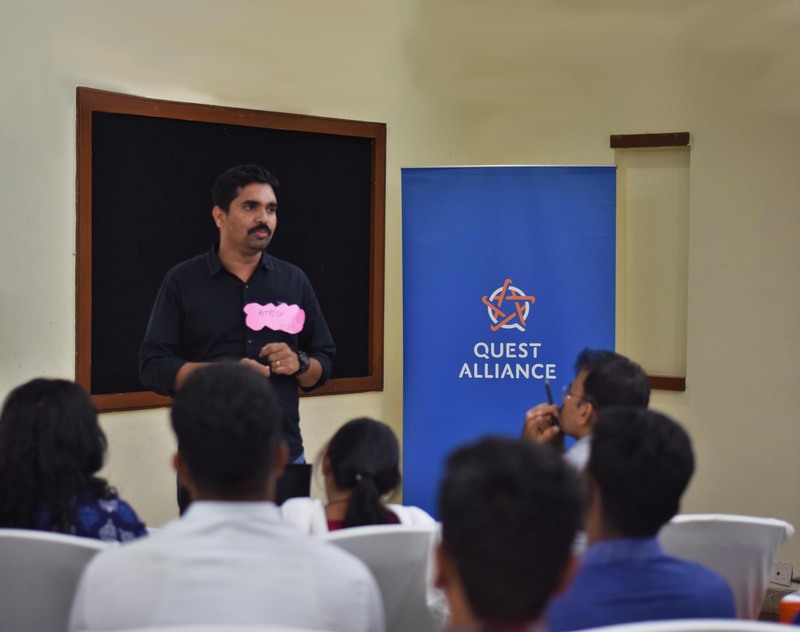 The twelve trainers from various organizations were introduced to different Quest Alliance toolkits such as Communicative English, Digital Literacy, Life Skills, Retail and Customer Interaction, Work Skills and Self-Employment toolkits to get hands-on experience in using them. Furthermore, there were also sessions related to breaking stereotypes with a specific focus on why we need to work with women and teach women employable skills. Ending with a session on effective ways to be a facilitator, the training of trainers was a robust first step in a new partnership to ensure equal participation of women in the workforce.